By buying this product you can collect up to 180 loyalty points. A combination of 2 kinds of steak from U.S.A. Beautifully marbled Sirloin is considered as the high quality part of beef. It is so delicious and flavorful that simple grilling with salt and pepper would be the best way to enjoy the taste. This Filet Mignon is the part that accounts only for 3% of one cow, thus it is highly valued! 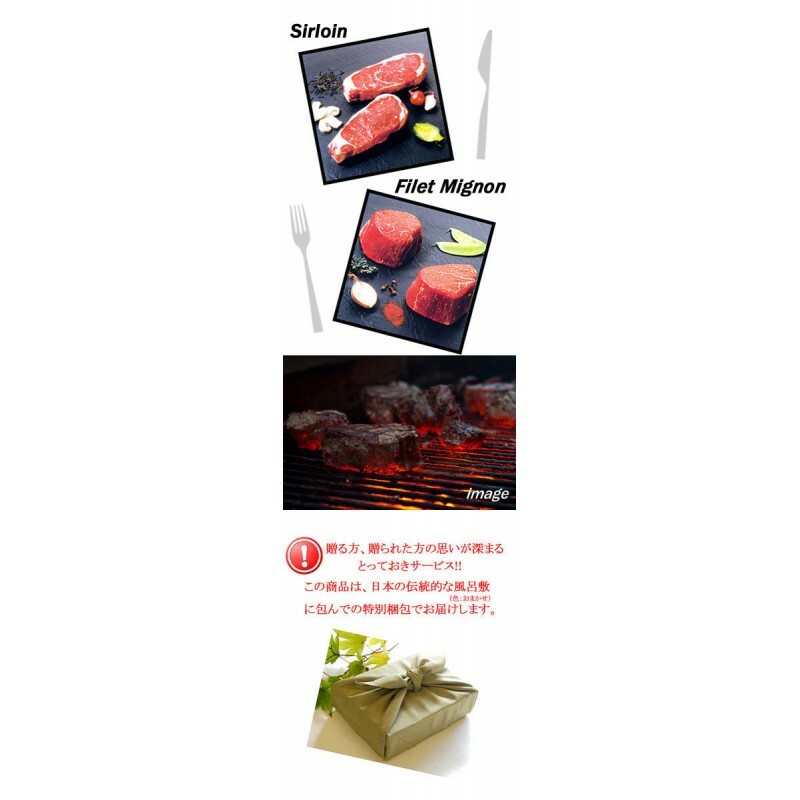 True to its name, Filet Mignon is the most tender cut and less fat, and it is also called "Tender Loin".